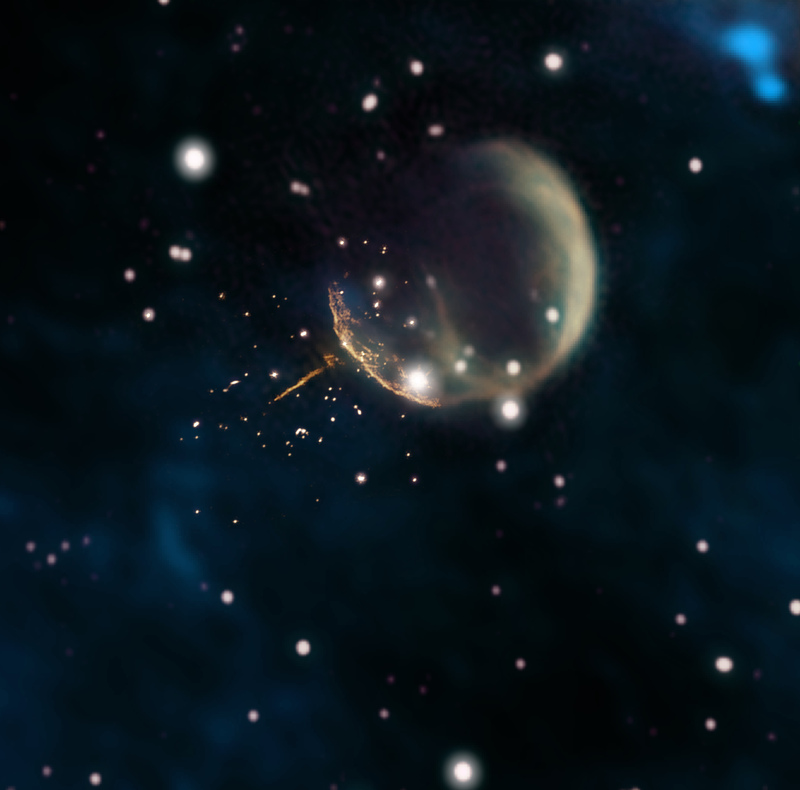 The CTB 1 supernova remnant resembles a ghostly bubble in this image, which combines new 1.5 gigahertz observations from the Very Large Array (VLA) radio telescope (orange, near center) with older observations from the Dominion Radio Astrophysical Observatory’s Canadian Galactic Plane Survey (1.42 gigahertz, magenta and yellow; 408 megahertz, green) and infrared data (blue). 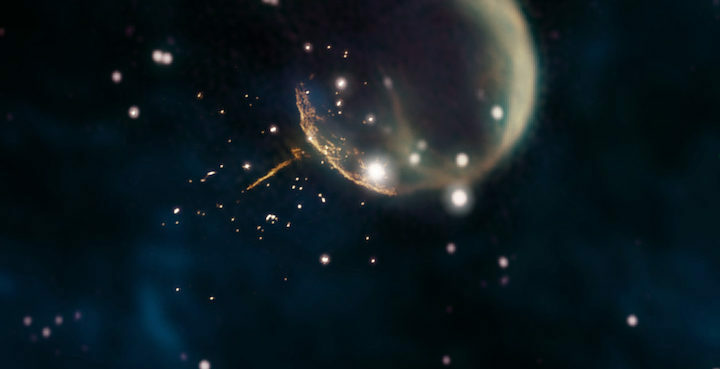 The VLA data clearly reveal the straight, glowing trail from pulsar J0002+6216 and the curved rim of the remnant’s shell. CTB 1 is about half a degree across, the apparent size of a full Moon.